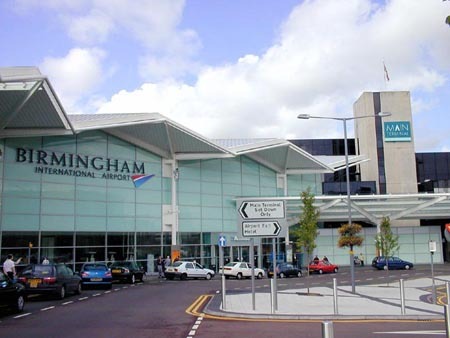 The Birmingham Airport has now gone a shade greener, unveiling its shiny new array with 200 solar panels on the roof of its terminal. Measuring about 1.6m x 1m each, these solar panels will generate a good 40,000 kWh a year. That’s enough energy to juice up about 12 average homes. The 50kpw solar photovoltaic (PV) systems were installed in collaboration with Npower and will decrease the airport’s dependency on grid energy alone. Also, this array will help the Birmingham airport decrease its carbon footprint by a whopping 22 tonnes annually! We applaud the airport on the effort to go green and wish it well as it joins the ranks of green airports around the globe. Energy hungry air conditioning systems aren’t the only way to spend the sunnier part of the year comfortably and A. H. Architects proved just that. 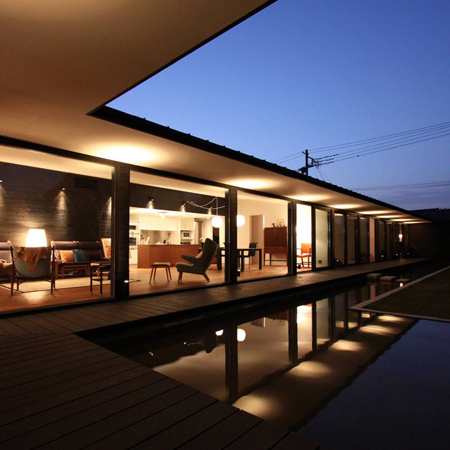 This astoundingly green home was built in Kitakanto near Tokyo and uses minimal energy. Using a groundwater basin and ventilation cooling systems with solar control, the house uses a carefully planned north-facing courtyard. The basin and a heat reservoir foundation along with carefully placed windows help cool the house, reducing reliance on air conditioning, subsequently decreasing energy usage. A perfectly green home that requires no additional energy whatsoever, this abode’s comfortable to live in and is a working example of living green. Larger-than-life 28-meter high lighting installation uses just 20 Kwatt/h! 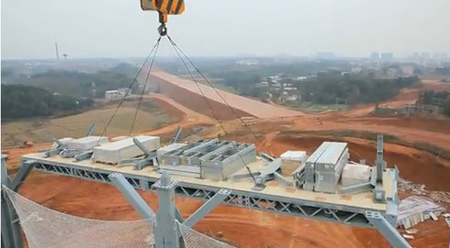 You’d expect a structure as humongous as this to gulp down more electricity than a couple of apartment blocks. 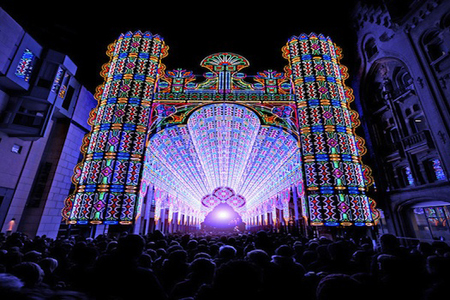 This installation at the Ghent Light Festival in Belgium by Luminarie De Cagna however proves to be shockingly energy efficient. Using a total of 55,000 LED bulbs, this cathedral of lights sports majestic renaissance arches and is a treat for the eyes indeed. Towering 28 meters high, the installation makes use of just 20 Kwatt/h of energy, making it a one-of-a-kind visually pleasing piece of art and innovation that keeps the environment smiling, without stamping out ugly dark carbon footprints. 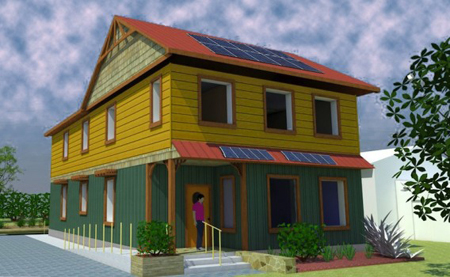 Soon, a bunch of students in Canada enrolled in The Endeavour Centre’s Sustainable New Construction: Building a New Future program will begin work on constructing a true green home, Canada’s Greenest, in Ontario. The 2,000 square-foot home will be built over a period of five months and will sport an energy-efficient foundation, prefabricated straw bale walls, grid-tied photovoltaics, solar hot water, rainwater collection, greywater recycling, composting toilets, and natural paints and finishes. The house will then go on sale and the proceeds will be used to offset tuition costs! This home, to surface in the next few months, could very well turn into a working example, helping inspire home builders and buyers around the world to go green. Recycling is great. Recycling to build something unique is better! Take artist Frank Buckley’s home for example. 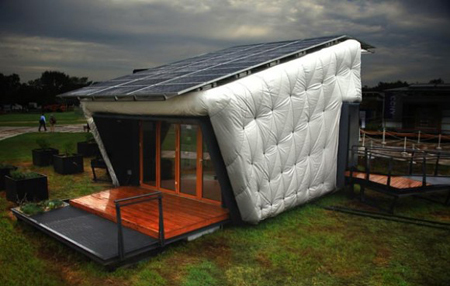 This abode is set apart from the rest, given the fact that it uses recycled materials for construction. And these recycled materials are exceptional to say the least! 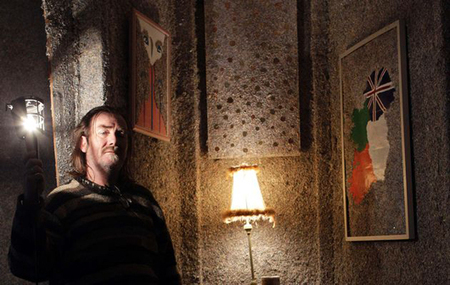 Instead of using the common bricks and cement, Buckley used shredded Euros to build his home. With 1.4 billion Euros in all, Buckley recycled these paper bills into bricks, each containing about 40,000 Euros. With special permission from the Central Bank of Ireland, Buckley built this home, complete with a bathroom, a bedroom and a living room with gallery space for his works! The Deutsche Bank American Headquarters at 60 Wall Street now has a shiny new crown. 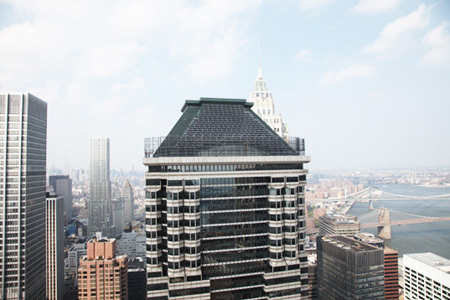 The sky-scraper was recently adorned with a 122.4kW solar array that, besides being the largest in Manhattan, is also the highest flat panel PV array in the world. At 737 feet above ground, this installation sheds light on the Deutsche Bank’s sincere efforts to sway towards the greener side. The new panels in question will reduce the carbon emissions of the building by 100 metric tons per year, helping the bank shed some of its carbon footprint. Building an environment-friendly home is simple. Living in it takes more than the regular effort, given the fact that you need to keep a wary eye on the direction your solar panels face, in case you haven’t invested on automated options. Also, one needs to constantly keep switching off appliances to prevent unnecessary electricity sucking! Now, making living green easier, SCI-Arc and Caltech have come up with a net-zero solar-home that you control by waving your hands! Called the Compact, Hyper-Insulated Prototype Solar House (CHIP), this abode uses an Xbox Kinect for a master command center, enabling you to control your lighting, your shades and a lot more with simple gestures! Barcelona will now bring home some snow, with one of the greenest artificial ski-slopes planned for the second largest city in Spain. To be completed by 2015, this ski-slope will be carbon neutral and will show up in a redevelopment area of La Zona Franca. With a 39,000 square meter dome planned that will house the slope as well as a ski-ring, the facility will be powered with methanisation, solar power and plant waste from the city. Also, to pull the temperatures below -10º C, regasification facilities at Barcelona’s liquid natural gas terminal will be used. 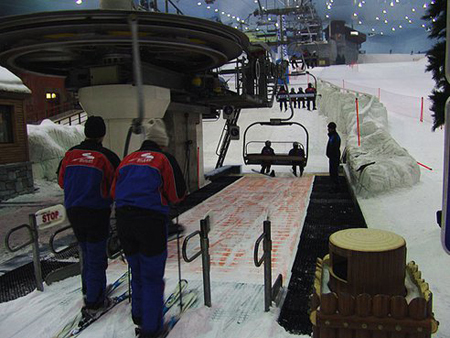 A green ski resort for the residents of Barcelona, this new attraction in the city will also help generate employment. Rome wasn’t built in a day. Well, a 30-story building wasn’t built in a day either, though a fortnight is indeed a short while for a construction this massive! With an area covering 170,000 square foot, the 30 story hotel took 360 hours to build and will revolutionize the way buildings are constructed in today’s era. The building was prefabricated, completely wired and drywalled, with a finished plumbing and tile work. The building was pieced together from parts prefabricated in a factory and this certainly is an eco-friendly way to building construction that saves time, manpower, energy and funds! Somewhat like those building sets you’d spend your childhood constructing architectural dreams with, these prefabricated building methods could soon change the way cities sprout. Dubai has decided to turn its green spots greener and the Municipality has decided to switch to the green side to power up and illuminate parks. 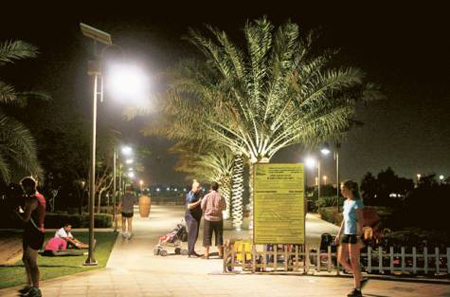 The Al Barsha Pond Park in Dubai is one of the six parks already playing home to solar-powered illumination systems. As per the Dubai Municipality, two more parks will go green this in the near future with a total of four more community parks destined to go solar powered by the end of the year. Using LED and metal halide lights that use lesser energy than the usual tungsten-halogen bulbs, the lighting systems will use solar energy to charge up in the day, with the energy being stored for use at night.